Carelessly making Holocaust analogies is always at best shameful, but how much more so when directed against the police force of the Jewish State who were only trying to ensure your security? Are you aware of how seriously your safety was taken by the authorities that morning? The numerous undercover and uniformed officers were drawn from Yasam: the toughest anti-riot unit under the auspices of the Israeli Police. While the apology issued by your Director of Public Relations about the ghetto tweet was certainly welcome, there should have been no need to make it in the first instance. I also found myself questioning your commitment to Jewish practice. 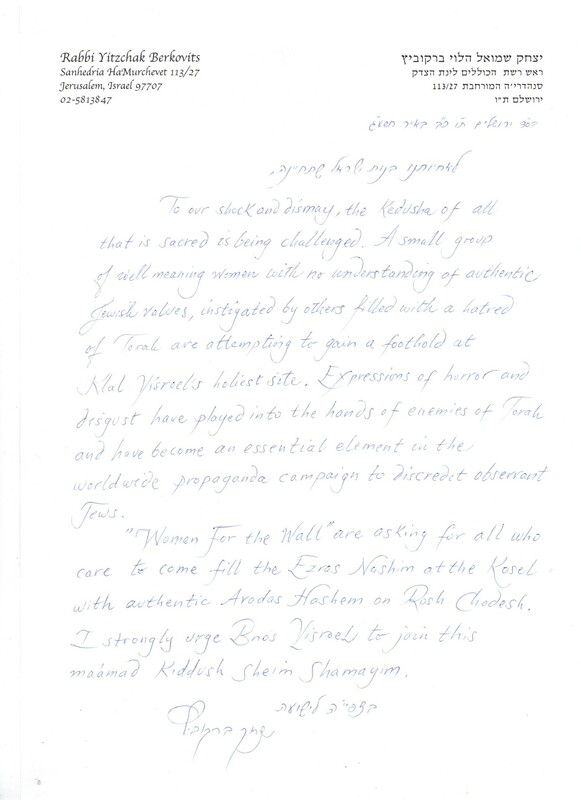 I do not doubt the sincerity of your lay membership in wishing to pray unabated at the Kotel. But how much of what Mrs. Anat Hoffman and company do is based on genuine spiritual conviction? To an outside observer, her donning of a tallit during a Knesset hearing on 1st May in the presence of Charedi MKs seems like little more than attention seeking at best while at worse simply offensive, slapping ultra-Orthodox sensibilities in the face. Is your donning of religious articles driven by a desire to connect more with God and Judaism, or largely for political reasons and an attempt to create a media circus? On another note, I urge you to avoid engaging in “Charedi-bashing”. Yes, the majority of opposition to your efforts come from within the Charedi community but only a fringe minority acted violently against you last Rosh Chodesh. For the most part the throwers of rocks and bottles were young men below the age of twenty; as were those who hurled insults such as “Nazi”, “zonah” and “Amalekites” in your direction; or tried to drown out your prayer with the blowing of whistles. The majority of counter-protesters were either praying, or simply there to ensure that their presence was being felt. In fact, the Charedi community’s leadership had forbade unmarried men from attending that morning as they were felt to lack the necessary maturity; once the violence broke out, I saw a number of elderly men – whom I assume were Chasidic Rebbes because of their bekeshes and streimels – quietly leaving, accompanied by their followers. 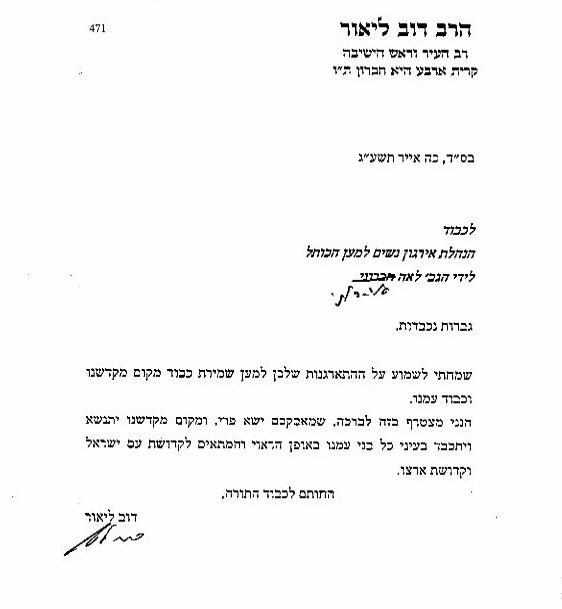 is not a slap in the face for the Ultra-Orthodox – it is simply stupid! She is just clowning.